The audiobook wars are fought on a number of different fronts. One is between those who consider them books and those who don’t. Then there’s the question of whether audiobooks should remain a traditional sub-right of a publishing contract, or splinter off into a new kind of deal between an author and an audio publisher. Last, there’s market share: how should these things be sold, and who should actually sell them? The sympathetic underdog in that last battle is Libro.fm, the indie upstart trying to take a bite out of the (Amazon-owned) Audible pie. At the start of 2019, 561 bookstores had partnered with Libro.fm to offer the service, which is promoted in-store. 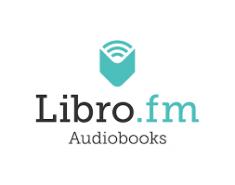 Booksellers can assist customers in downloading the Libro.fm app, signing up for subscriptions, or buying single titles through online affiliate links to Libro.fm’s web store. In exchange, each store gets a share of the profit from the sales and subscriptions it facilitates. Libro.fm’s growth has been dramatic, with 215 stores signing up in 2018, and it has spread across a wide spectrum of stores, from large stores such as Tattered Cover in Denver—which recently published a breakup letter to Audible on social media­­—to smaller ones such as Papercuts J.P. in Boston, as well as Hudson News outlets. Libro.fm’s long-term goals focus on creating more original content (again, move over Audible), partnering with more booksellers (even putting listening stations in-store), and further spreading the word through marketing.